The Sacramento Philharmonic, Opera and Ballet orchestras as well as the Napa Valley and Modesto symphonies. Ms. Edwards also performs with other Bay Area orchestras including the San Francisco Ballet and Opera orchestras. She has also performed Broadway productions of shows touring through San Francisco playing at the Orpheum, Curran and other local theaters. 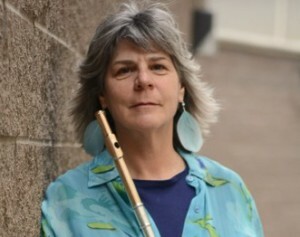 In a chamber music setting, Ms. Edwards has performed on such pre-eminent concert series as the Noontime Concerts series, Trinity Chamber series, Pacifica Performances, Old First Church Concerts, the National Flute Association Convention, San Francisco Conservatory Faculty series, and the USF Faculty series. Her chamber music performances include flute in combination with harp, guitar, piano, strings and with other flutes. 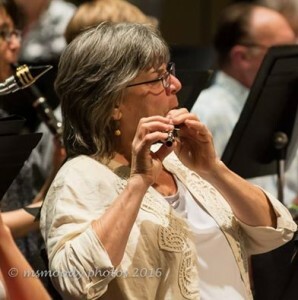 In addition to performing works from traditional flute repertoire, Ms. Edwards has created arrangements to fit the needs of any given ensemble. Some of these arrangements can be heard on her CD “Easy As” which showcases various combinations of flutes – piccolo, alto, and bass flute – with pianist Michael Slaughter. Funded by a grant awarded by the Peninsula Community Foundation, this CD features original compositions by American composers as well as exclusive arrangements by Ms. Edwards. In 2005, Ms. Edwards recorded a sound track for the new exercise PBS series, “Classical Stretch“. She has also recorded sound tracks for independent film makers and in-house producers. As a teacher, Ms. Edwards serves on the faculty of the University of San Francisco as the Chamber Music and Woodwind teacher. She is the Director of Bel Canto Flutes Flute Choir, formerly the San Francisco State University Flute Choir, and is an Artist-in-Residence at The San Francisco (High) School of the Arts. Ms. Edwards also has a very active home teaching studio, GEMS. Ms. Edwards received her Master of Music degree from the San Francisco Conservatory in 1986. She has studied with some of the world’s pre-eminent flutists in a variety of settings that include private studio work and in master classes.